It’s that time of year again – time for gift giving and go-fast parts! If you’re looking for an awesome present or two for your favorite gearhead (or for yourself), we’ve got just the thing. We’ve compiled a list of the best gift ideas for any budget from SLP. Check it out! The Performance Pac is available for a handful of applications, and consists of our Blackwing Cold Air Induction Package, SLP’s LoudMouth Exhaust System, and an SCT X4 Handheld Flash Device and Cable to upload SLP’s custom Performance Pac Calibration. It’s got everything you need to allow for smoother airflow, aggressive sound characteristics, and added performance. Not quite sold on a full Performance Pac, but looking to add a little rumble to your Chevy or Ford muscle car? 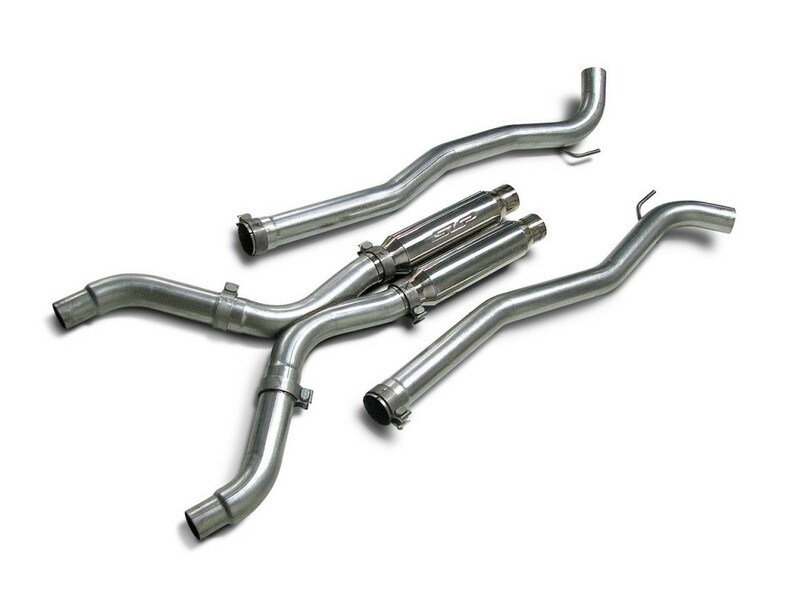 Look no further than SLP’s wide range of exhaust systems, catering to a variety of applications, to meet any sound and performance goal. If you’re just getting started, or looking for quick and easy horsepower, check out SLP’s Blackwing Cold Air Induction Packages. 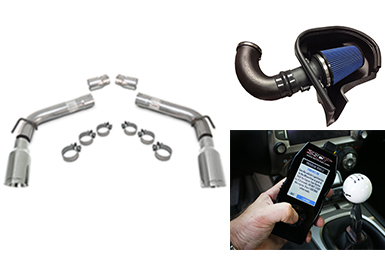 Installing one is the fastest and easiest way to unlock hidden horsepower, and allows your engine to breathe easy. 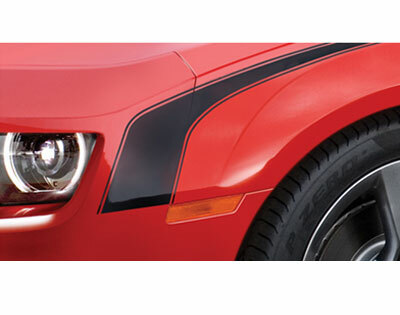 Want to change up your Camaro’s looks, but not sure where to start? Check out SLP’s body components for 2010-2013 Camaros including a Front Close-Out Panel, Chin Splitter, and High-Lip Rear Spoiler. SLP also offers body components for Corvettes, GM trucks, Ford Mustangs, and Dodge Challengers and Chargers. Looking to fill the stockings? Check out what SLP has to offer! You can never go wrong with a new shift knob! 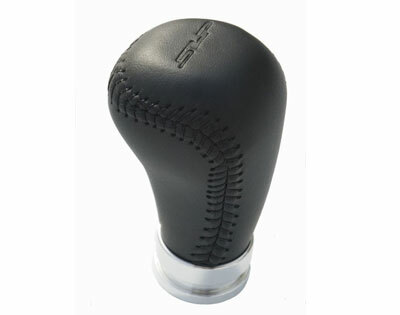 Our leather-wrapped SLP-branded shift knobs are soft to the touch and will work seamlessly with the stock shifter, or SLP’s short throw shifter assembly. 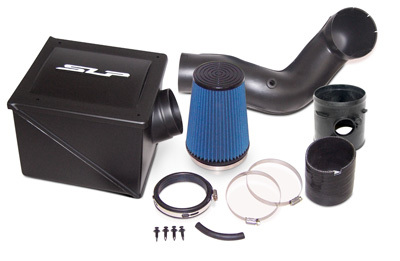 Is your Chevrolet equipped with an SLP Supercharger? 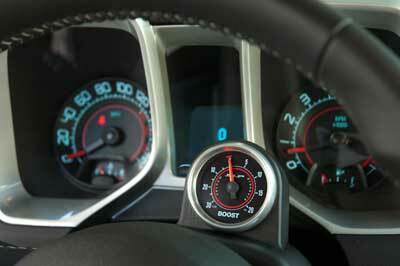 Check out our Boost Gauges for 2010-2013 V8 Camaros and 2005-2013 Corvettes. The face of the gauges matches the factory gauges and is backlit to display vacuum and boost pressure. Don’t forget to take a look at SLP Gauge Pods as well! Graphics are the perfect stocking stuffer – and SLP has you covered. Check out our wide variety, and buy a few for your favorite Camaro owner. 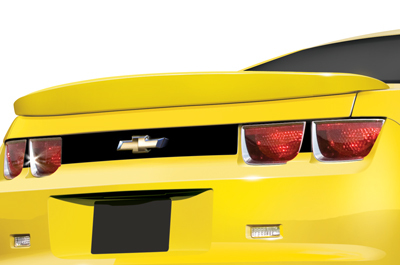 A Rear Flat Black-Out Panel Graphic Kit, Rear Quarter Gill Graphic Kit (in gloss or flat black), and Hockey Stick-Style Graphic Kit are available for 2010-2015 Camaros. Decide for yourself what gear you want to be in! The stock first-to-fourth “skip-shift” incorporated into your manual 6-speed can be defeated with the SLP Skip-Shift Eliminator. 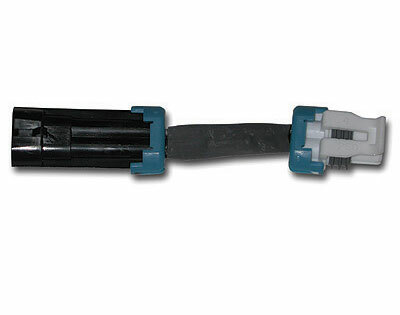 This plug-in piece requires no additional modifications to your vehicle, and installation is quick and easy.